The best Android phones below Rs 4,000 in India. Check the Samsung phones, Micromax, Karbonn, brand phone below Rs 4,000 range powered with Android. In this guide check how to install & Download Samsung Ultra Power Saving Mode APK for other Samsung Phones like Note 4, S4, S3, S2 & other TouchWiz Phones. Our choice on which is the Best Android Phones to choose priced below Rs 8000 as available in India from Snapdeal, Flipkart, Amazon.in and other retailers. Dual SIM Smartphone are common, check the best triple SIM Phone available in India. 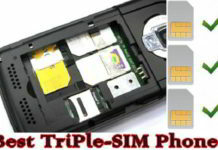 Find Triple SIM non-Android & Java phones in your price range. Listed here are the Best Smartphones below Rs 25000 in India. The list includes Android phones under 25K Rs from Amazon, Flipkart. Comprehensive list of 10 best camera phones (Android, Windows, Asha) priced below Rs 5000 in India. Oukitel K6000 gets announced with 6000 mAh battery, reverse charging 9V/2A fast charging. Check Oukitel K6000 Specs, features, price in China, best deals. Find the Best Android Phones under Rs 3000 available in India from Flipkart, Snapdeal and Amazon.in. Checkout the Best Meizu M2 Accessories which includes Cases, Flip Covers and Screen Protectors for complete protection.